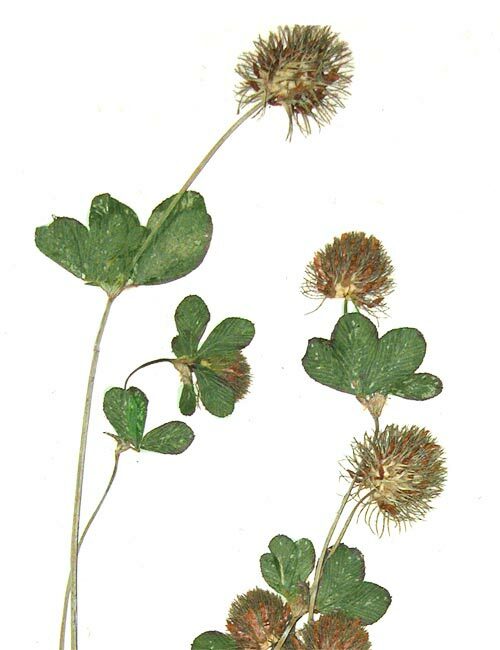 AgroAtlas - Relatives - Trifolium lappaceum L. - Bur Clover. Annual herbaceous plant. Stems 10-40 cm tall, usually much branched, often prostrate. Stipules acute. Leaflets obovate. Inflorescences many-flowered dense heads, at fruit globosely oval, 2-2.5 cm. Corollas pink. Fruit an obovoid scarious 1-seeded pod. Flowers in May, fruits in June. Autogamous plant. 2n=16. South Crimean Coast, Caucasus, montane Turkmenistan (western Kopet-Dagh) and southwestern Tajikistan. Among shrubberies, in meadows, on shingles. Up to lower, rarely middle mountain zone. May be used as a forage plant in extreme environmental conditions.